The Confederation of African Football (CAF) yesterday listed two Super Eagles players, Victor Moses and William Troost-Ekong among 30 players for the prestigious Footballer of the Year award. Another Nigerian, Junior Ajayi, who plays for AL Ahli of Egypt, was nominated for the Home-based best player award. Moses’ second major silverware since winning the 2013 Africa Cup of Nations with the Super Eagles in South Africa came last year, when he played for full 90 minutes for Chelsea, who came from behind to whip Sunderland 5-1 to be crowned English Premier League champions. He celebrated the EPL title at the Stamford Bridge with his wife and children. His dream of making it a double victory in the FA Cup final was thwarted by Arsenal, who defeated Chelsea 2-1 in the final. The Awards Gala will be held on Thursday, 4 January 2018 in Accra, Ghana. Nigerian energy giants, Aiteo, are the headline sponsors of next year’s edition of the award. Among other players nominated by CAF for the African Player of the Year are Christian Atsu (Ghana & Newcastle), Eric Bailly (Cote d’Ivoire & Manchester United), Mohamed Salah (Egypt & Liverpool), Essam El Hadary (Egypt & Al Taawoun), Pierre-Emerick Aubameyang (Gabon & Borussia Dortmund), Sadio Mane (Senegal & Liverpool) and Vincent Aboubakar (Cameroon & Porto). In the African Player of the Year – Based in Africa, Junior Ajayi, who play for Al Ahly of Egypt will battle 29 others for the award. 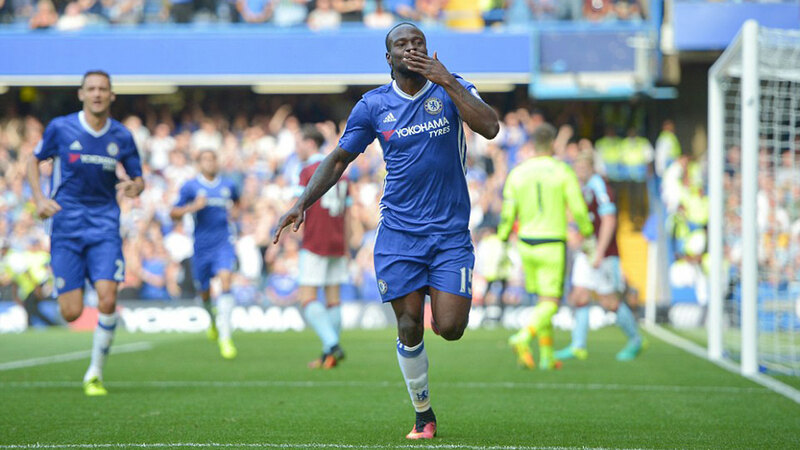 Meanwhile, former Super Eagles defender and Chelsea legend, Celestine Babayaro has backed Victor Moses to win the prestigious award. “Players like Pierre Emerick Aubameyang didn’t have a very good season on a personal level unlike Moses, who was ever present for Chelsea in their run up to the League title,” Babayaro told Owngoalnigeria.com. “If Riyadh Mahrez was given the award on the strength of his performance for Leicester City last season when they won the league, Moses should win it for same reason as well. “Aside his performance for Chelsea, he did very well for Nigeria and his contributions played a big role ‎in helping Nigeria clinch qualification for the World Cup ahead of every other African nation,” he remarked.